Got a design idea that would look awesome on a poster? Want to sell it online? This blog post walks you through how to make it happen — creating your designs, printing them, and bringing in sales. 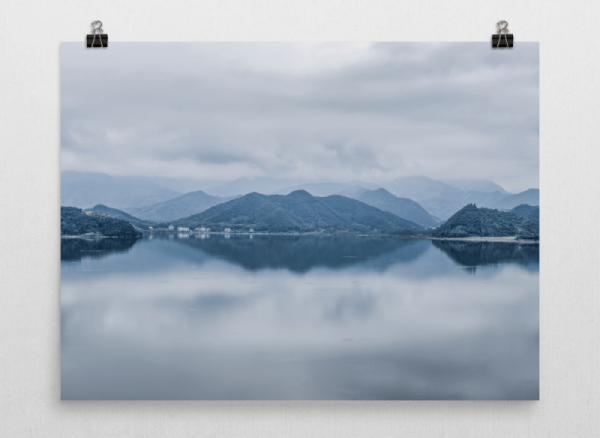 What is good about selling posters is that this business doesn’t require deep product knowledge and modern technology lets you automate all the processes. Keep reading to get the whole idea. Many stores can add a poster or two to the storefront — you just need to inscribe them in the concept of your business. Even if you sell car parts, you can create an awesome car poster and offer it as an additional product. Artists: create and sell artwork posters. Sellers of books, comics, and movies: posters can be marketed as a visual tool for enjoying a story even more. Interior design stores: incorporate posters in interior design. Educational stores: sell posters with charts, lists, and motivational quotes. Kids’ stores: cartoonish posters will engage the little audience. 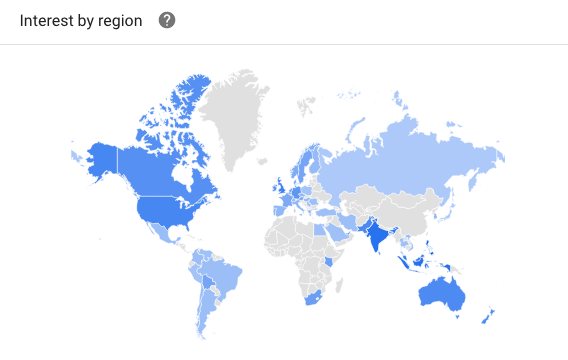 The interest in posters around the world according to Google Trends. There are basically two ways of creating a poster: the DIY way and the drop shipping way. If you’re all about rolling up your sleeves and doing things your way, then one option of selling your posters is to print them on your own. On the one hand, this is great because you are fully in charge of the production process. You’re the one doing the printing and quality control, and you set your own standards. You can print your posters exactly the way you want and completely customize your packages. The downside is that it costs a pretty penny to do this on your own. You’d have to invest in a poster printer, quality paper, the right inks, and packaging materials. Plus, you still need the time and physical space to do all the work, which isn’t a luxury all small business owners have. You have the capital to buy a printer and materials. You have the physical space to set it all up. You want to customize your orders and be in charge of the printing process. You have the time to print and ship your orders on time. Another option is to partner with a print-on-demand (POD) drop shipper, which is a third-party service that prints and ships your products for you. Minimal upfront cost. You don’t have to invest in a printer, paper, ink, or inventory. And many drop shippers don’t require upfront or monthly fees. Save time. You don’t have to print, package, and ship your posters, which gives you more time to focus on your business and marketing. This is a bonus for established online stores. If you’re getting hundreds of orders every month, it’s hard to keep up with the demand. Validate your designs. You can test new design ideas without losing money if sales aren’t as high as planned. Plus, you’re also not stuck with leftover inventory. Since there’s such a low barrier to entry, you’ll have a lot of competition. Your drop shipper will charge you the cost of the product and printing, which eats into your profits. You don’t fully control the production process, and you can’t customize your packages as much as you may want. How should you pick your drop shipper? Integration with your store. It’ll make your life a lot easier if your drop shipper integrates with your store’s platform, as orders will go automatically to them for printing and shipping. The quality of posters. Look at the paper, ink, and available sizes. And it would be a bonus if framing is an option. Order samples. Some drop shippers let you order discounted samples, which you should definitely do to see the quality first-hand and stand by your product. Printful is the only print-on-demand drop shipper that integrates with Ecwid e-commerce, so setting it up on your store should be easy as pie. But there are alternatives if you want to do some shopping! Your poster design will depend on your niche and your audience. But there are some rules of thumb to keep in mind. The most important rule to remember is to create your design at the intended size and dimensions, with a good resolution. If you create your design too small, it’ll lose quality the more times you re-size. So design everything at the correct size right from the start. For example, if you’re designing a 24×36” poster, use those dimensions in Photoshop right away. You don’t need to be a professional designer to create a good-looking poster. Minimalist designs or text work well, so you could play around with typography or design one of your favorite quotes. Photographs also work well, especially when printed on Luster photo paper — it’s fingerprint-resistant and its finish is between a matte and a glossy look. Again, designs that work depend entirely on your niche. Create your design so it covers the entire canvas. But don’t include any important details at the margins, in case something gets cut off during the printing. This goes without saying, but it’s important to avoid work that’s copyrighted. Create your own, original artwork, or at the very least use something that’s available in the public domain. Copyright law is a long and complicated topic that varies case by case. If you have any doubts about what you want to print, then speak to a professional for advice. If your design skills aren’t up to snuff, then leave it to the pros and look for a freelance designer. Check out sites like Fiverr, Behance, or 99designs. Read this blog post for more ways to find a freelance designer. If you want to design yourself, Adobe Photoshop and Illustrator are popular image editing tools. But there are plenty of cheaper and free options out there as well, like Gimp or Affinity. 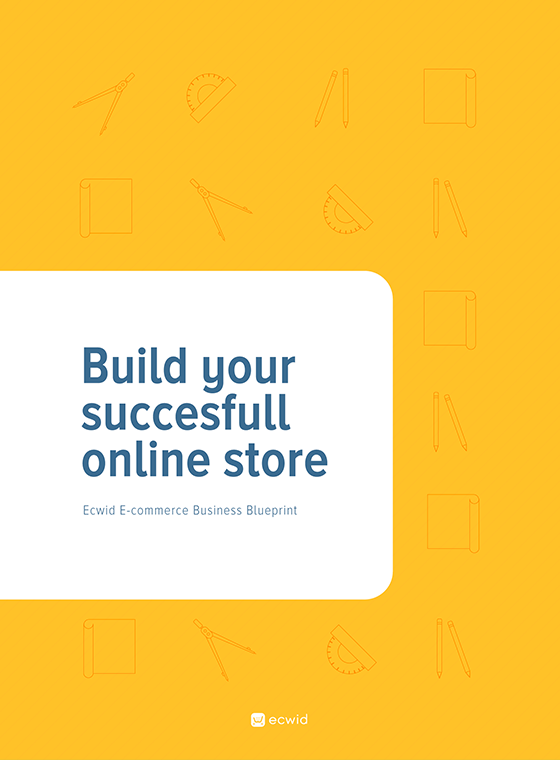 Sign up for Ecwid to create your online store. Create your products and start selling. Note that Printful drop ships more printed product types, such as mugs, tees, and iPhone cases. Nora is a content marketer at Printful and regularly contributes to their blog. She recently relocated from Toronto, Canada to Riga, Latvia and spends her downtime reading, running, baking, and exploring what Europe has to offer.